Hello!! 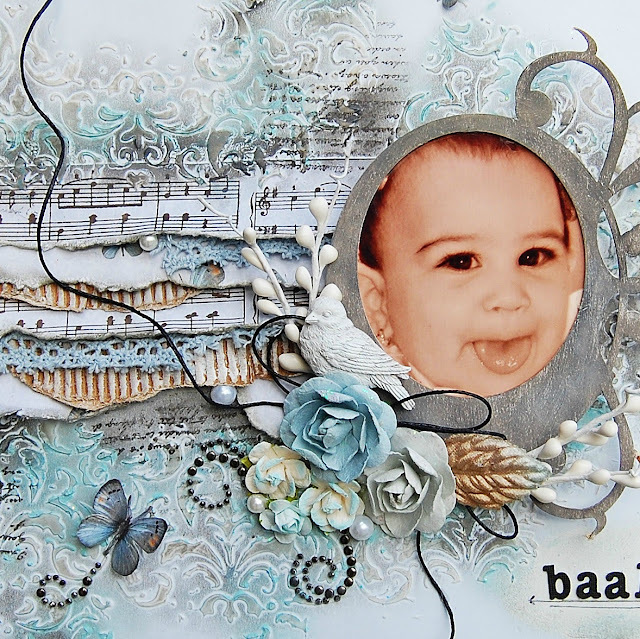 Here's my take for the Prima's August BAP. 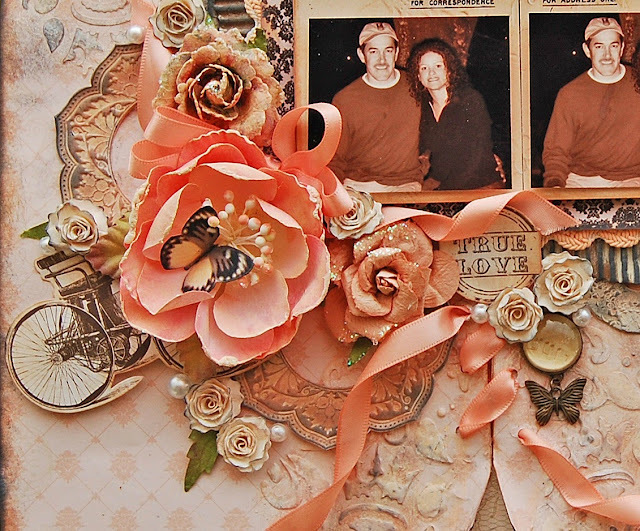 I love the sketch and this is my inspiration. I got this photo of a wonderful day I had with my hubby at the beach and I found it goes perfect with the theme and colors of these papers. 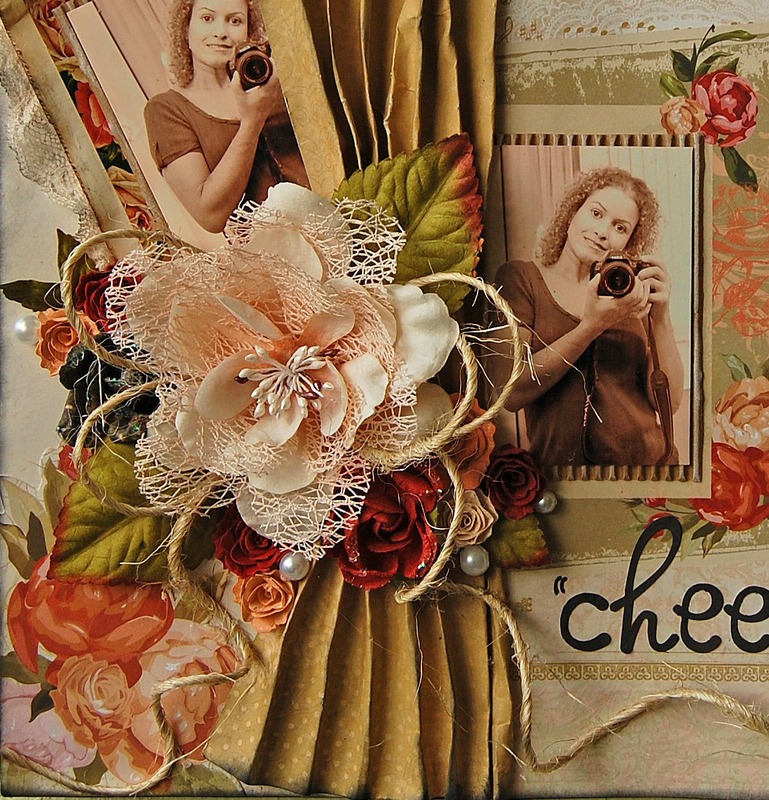 I made layers with different elements like lace, corrugated,Scrapmatts chipboard, Prima Mechanical trinkets and chipboards. 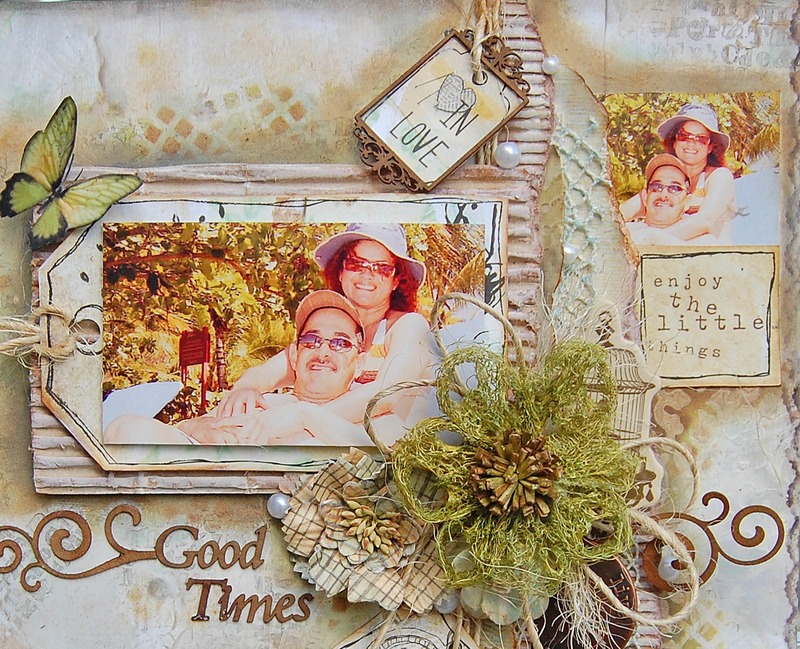 I played in my page with the Gelatos and Gesso by Faber-Casttle,Distress Ink by Ranger. 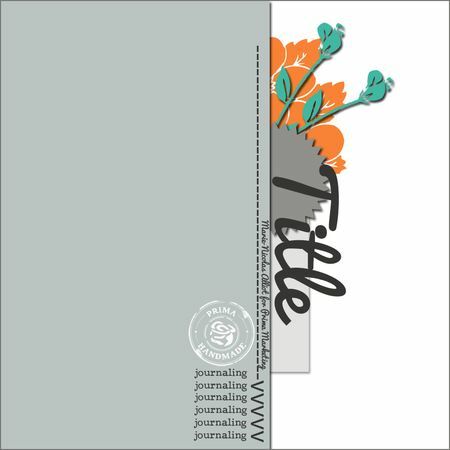 My title is a chipboard by Scrapmatts and the swirls,too. 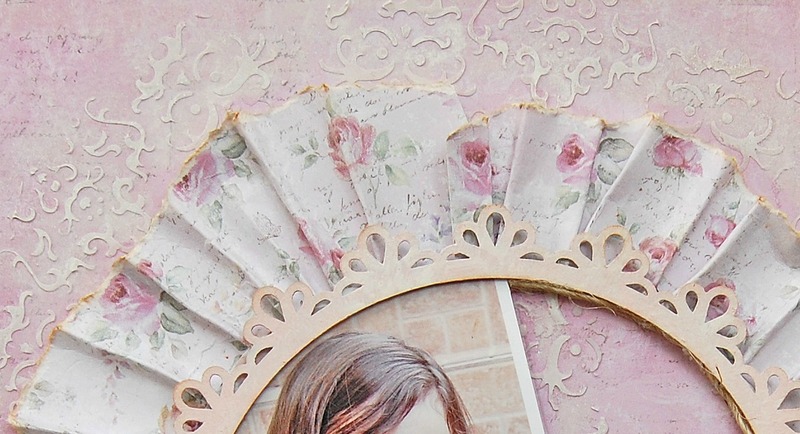 I cut one of the papers to create the design in my page. 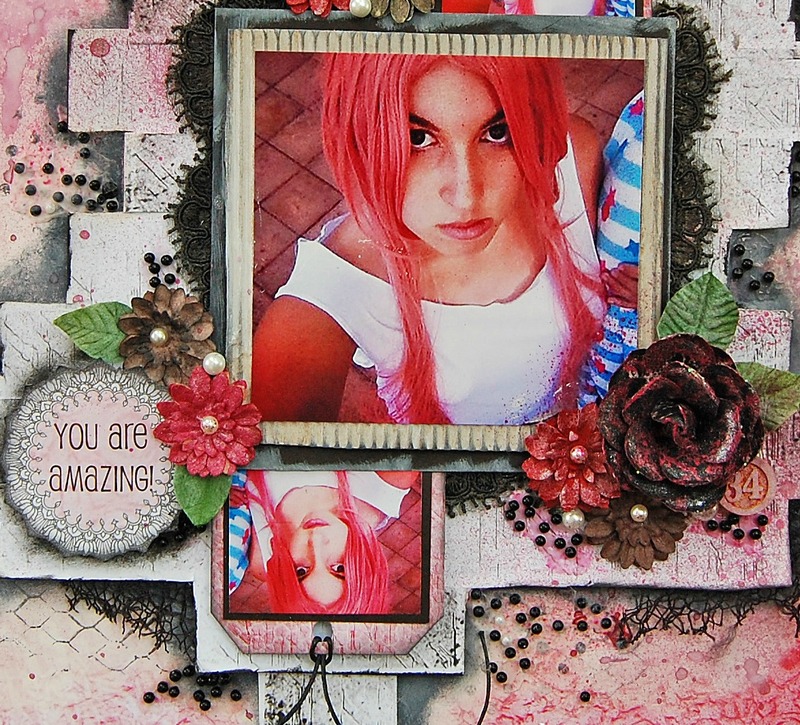 Then I started to play with 13art mediums to create textures in my background work. I used the transparent Acrylic Gel Medium to glue the beads. I misted with the Pearl Bordeaux color by 13art in some areas in my page and painted the flowers, too. 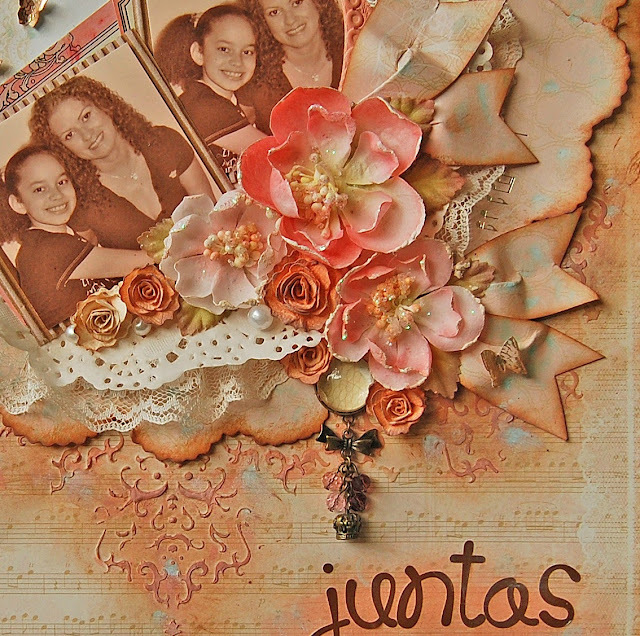 I made some techniques in this page like draped the paper, I masked it and painted, too. 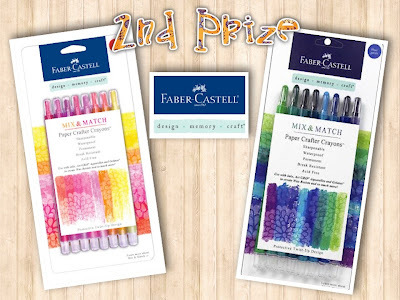 I love these glass beads and I glued it with the gel medium... all these products are from 13arts. I made a lot of fussy cutting for this page, I love the hearts that came in one of the papers and cut them and used like embellishments. 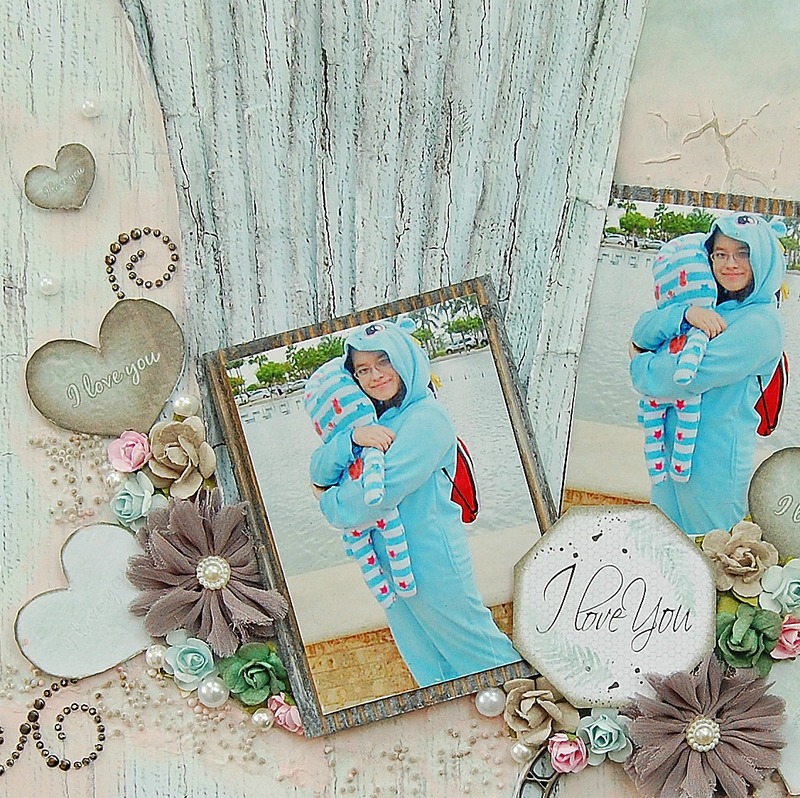 Labels: 13arts, All is Love collection by 13arts, Mediums by 13 arts, Transparent gel. Hello!! This month Berry71Bleu has the "Get Creative with textiles challenge" by Norma Gomez and this is my take for the challenge. 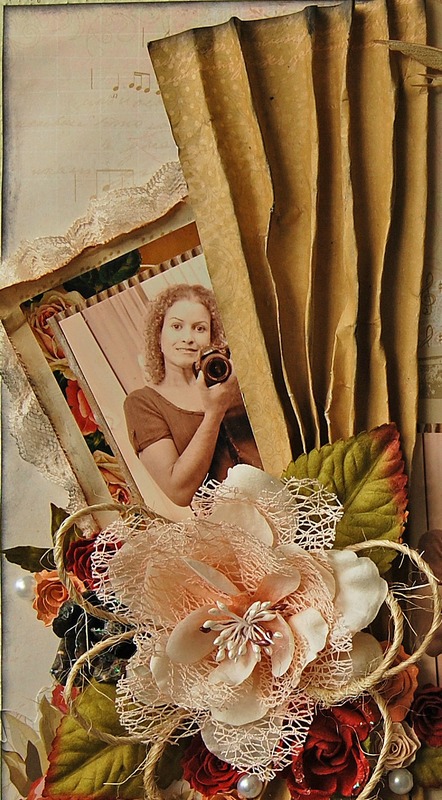 You have to use textile in your project and in my page I used lace between my layers. We have three sponsors this month and I had a lot of fun playing with Faber-Castell Designing Products Craft products. 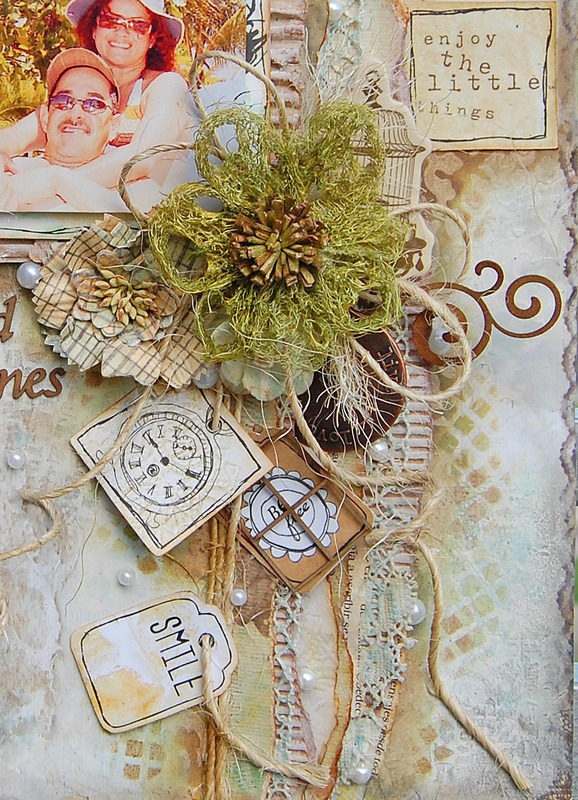 I also used the beautiful Inkido papers and Scrapiniec chipboard both are sponsors this month, too. I painted this frame by Scrapiniec with Gelato (Squid color). 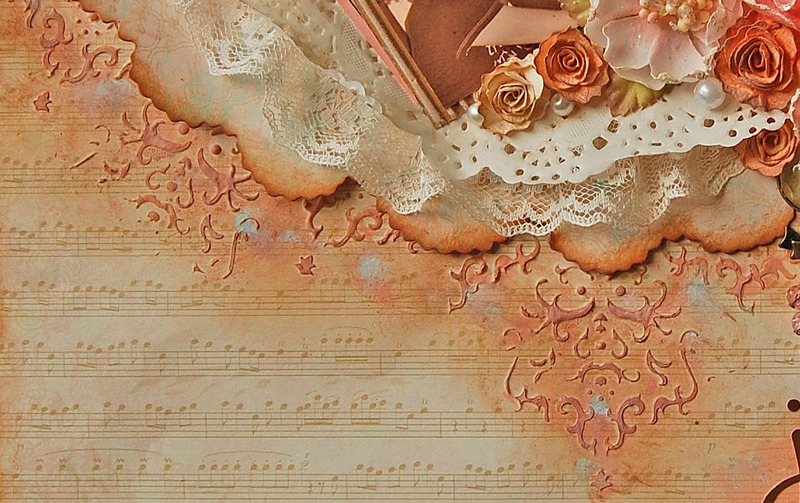 You can see the lace that I added between the layers here. with a mask and molding paste I added some textures and dimension to my page then I painted it with the Gelatos to create this cool effect in my background. The flowers are from Prima. A special thanks to Scrapiniec Die-Cut Chipboard for sponsoring the Berry71Bleu Design Team, who will be sharing projects with their chipboard for the next several months. Hello everyone! I hope you are great, I've been having many doctors appointments and studies in the last weeks that I had my poor blog abandoned . 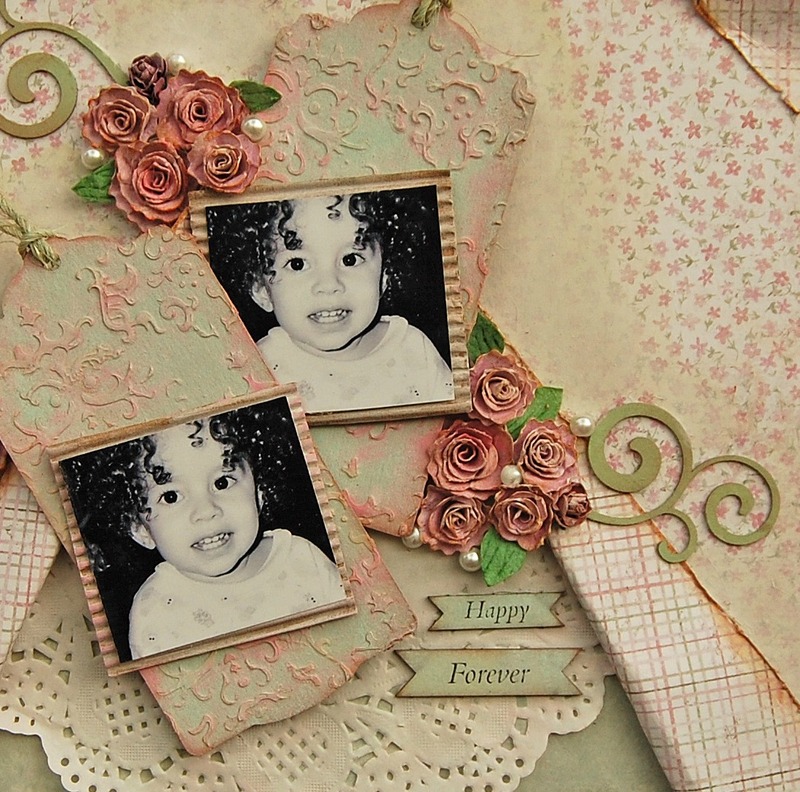 I'm showing you today two projects that I created with the Sofiero collection by Maja Designs and Scrapmatts chipboard. 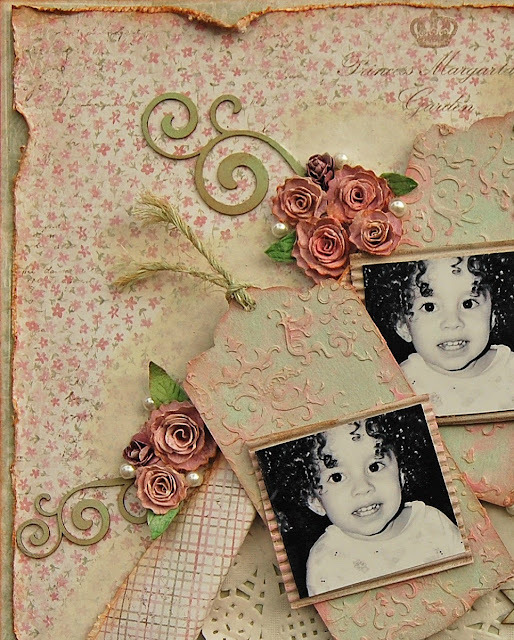 My second project is a card that I made with both sides of the Princess's Margareta's Garden. 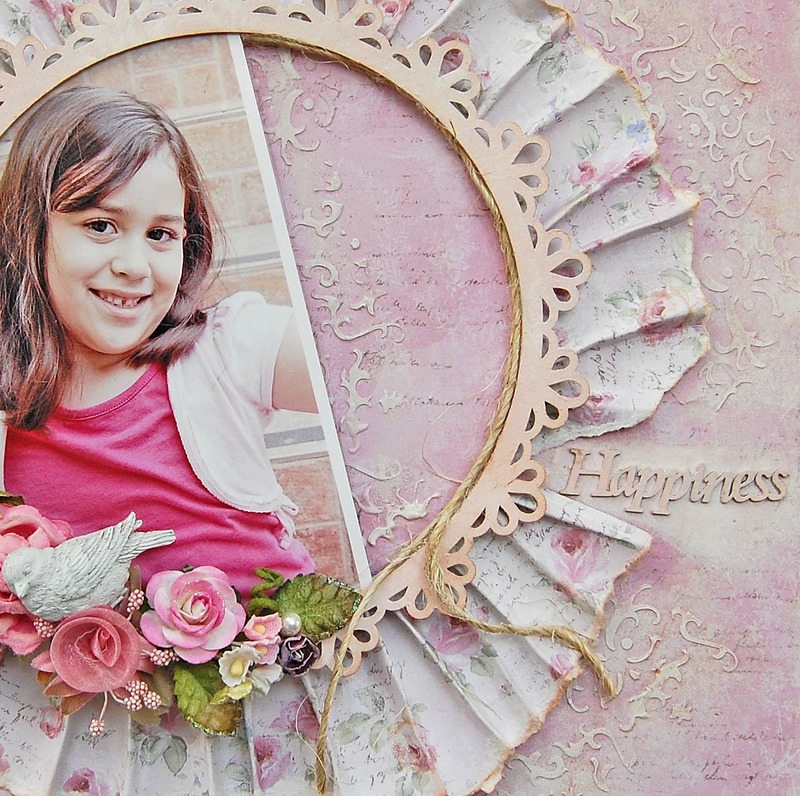 I added this pretty chipboard frame by Scrapmatts. 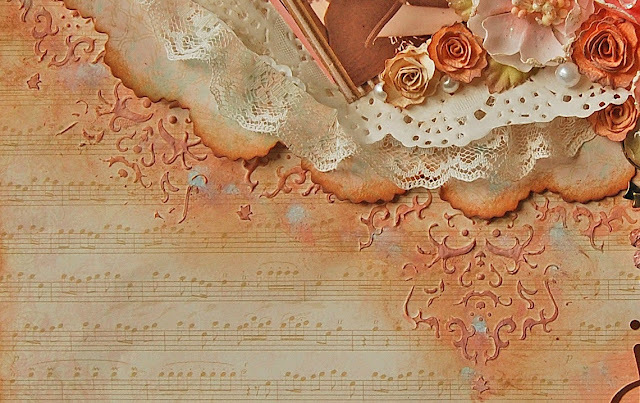 I love the pretty and soft design in this paper. Thanks for your visit and for your lovely comments! Hello! 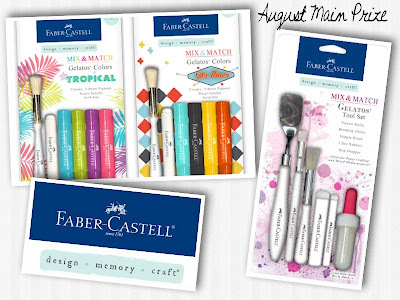 Here are my last two projects with the August Limited Edition kit by My Creative Scrapbook with the "One this day" collection by Kaisercraft. 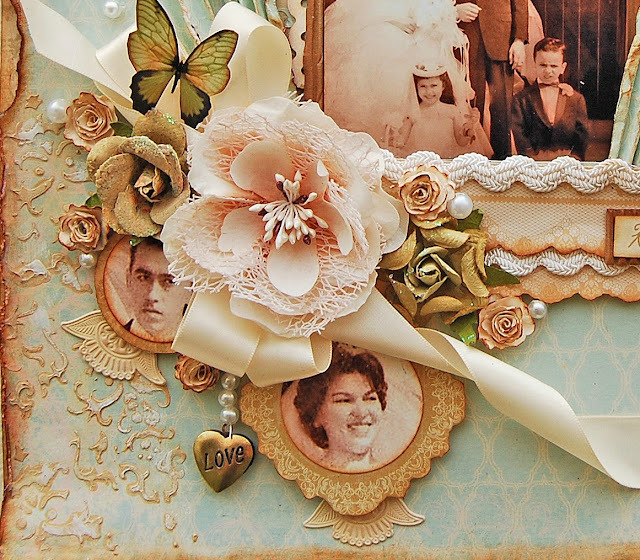 I adore this collection, the flowers and embellishments that come in this kit goes perfectly with these beautiful papers. 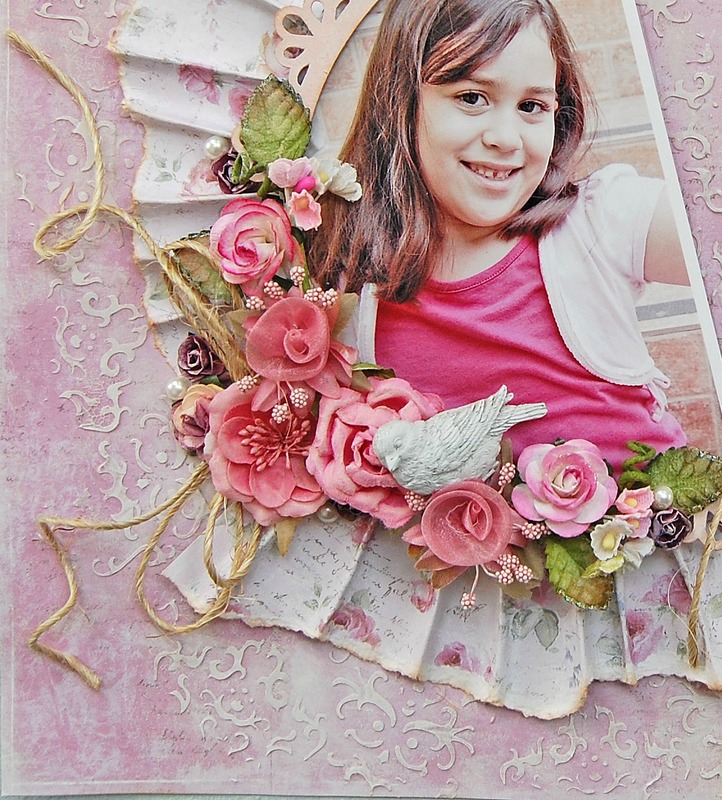 In my last page I used the die cut paper from this collection and combined with the lace and the Artisan Elements from the kit to make a semi circular frame. I added some masking with molding paste to create dimension and textures in my page. 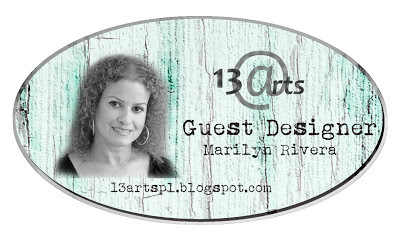 I'm so happy and excited because I have the honor to be the August Guest designer at 13arts and I've been working with their wonderful products that I loved it! 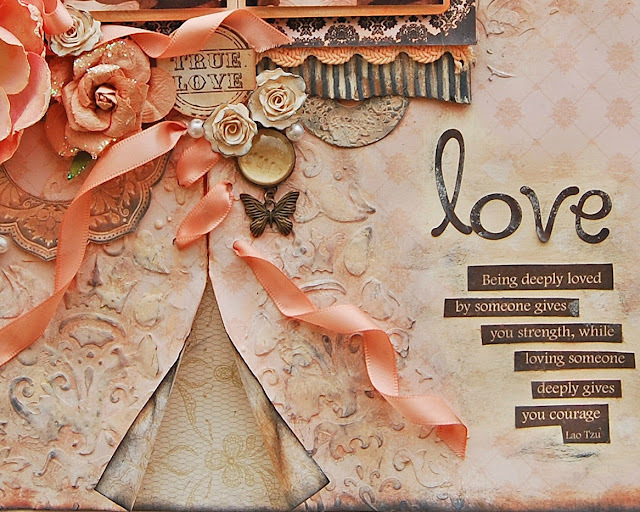 I made two pages with the "All is Love" collection so I invite you to see them in the 13arts blog and let me know what you think...and check their products. They also have a talented DT you should see all the beauties they did with these fantastic products. I loove all the embellishments in this kit that I tried to mix all in this page, lol!! 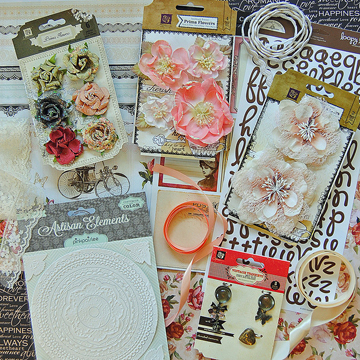 I'll come back soon with more projects with this kit!!! Supplies: Enjoying the fragrance, Strolling down the Roses path papers- Sofiero Collection by Maja Design, Scrapmatts chipboard, Kay's corners etsy shop-vine, Prima-flower,bird,mask, Molding paste, Ingvild Bolme-chalk ink,twine, pearls, acrylic paints.